When was the last time you looked through your idea file? You know the one. 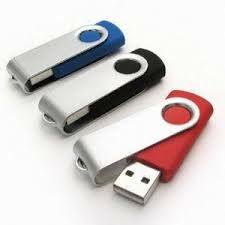 That desktop folder or flashdrive where you keep all those random thoughts and story ideas you’ve jotted down over the years. You do have one, right? If not, you really should start one. It’s easy. Just write stuff down, hold on to it and never get rid of it. Never. Chances are a majority of these ideas probably won’t make it past the logline/story concept stage, and it’s even more likely you’ll have forgotten about them after a relatively short time. But don’t let that stop you from constantly adding to the file. Each idea is a good reminder of the potential you saw within that story. Why else would you have written it down? I’ve mentioned many times about being ready when someone asks you “What else have you got?”. This guarantees you’ll have something ready to go, even if it’s just a couple of sentences that take all of ten to fifteen seconds to pitch. You never know what’s going to work. That throwaway concept you came up with years ago could end up being your next project. So the next time you take a break from whatever it is you’re working on right now, open up that file and see what’s in there. You might be surprised, intrigued, pleased or even thrilled. The possibilities really are limitless.